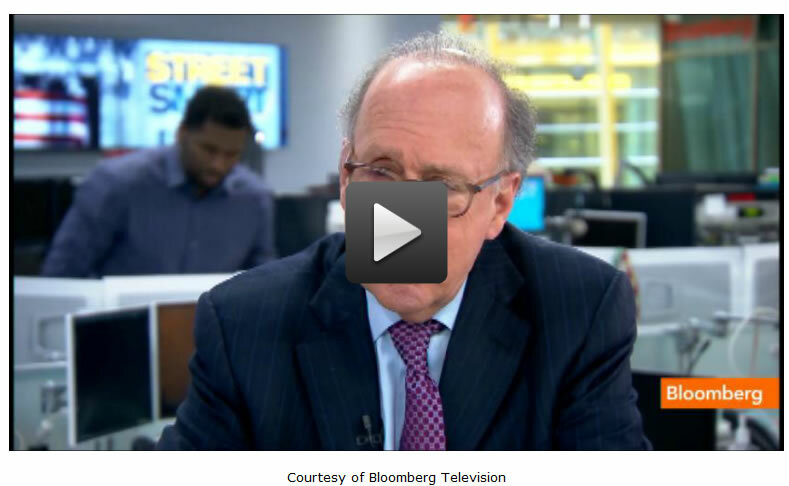 Bloomberg TV's Trish Regan spoke to Stephen Roach, non-executive chairman of Morgan Stanley Asia, ahead of soon-to-be Chinese President Xi Jinping's visit to the U.S. next week. Roach said that he hoped U.S. political leaders would turn the visit "into an opportunity and not into a politically inspired, perceived threat." He also said that he foresees a "soft landing" of China's economy and that market access should be the main political issue with China, not currency. "The U.S. has a lot of problems. American workers are under pressure: high unemployment, stagnant real wages, a big trade deficit and the largest piece is with China. Washington wants to say, this is China's fault. My sense is that's an example of being unwilling or unable to look in the mirror and accept what is our own responsibility." "We do run a trade deficit with China, but we run trade deficits with 87 other countries. It's a multilateral problem, a clear reflection of our shortfall of saving. We can't blame China for that -we've got to accept responsibility for our own lack of saving." "China is an opportunity for us. It's our third largest and most rapidly growing export market. We need a new source of growth. Let's turn to exports and push for open market access into rapidly growing Chinese domestic demand. That should be the agenda." "Deflect attention away from the currency. Look at China's policies on government procurement, so-called indigenous innovations, that many American companies are saying, squeeze them out. The debate should be on market access, not on the currency. The Chinese currency is moving up 25% against the dollar over the last five years, it'll keep moving up. That's not the issue. We're missing the opportunity, which again is market access." "China is about to change the model. They are moving away a model driven by exports and investments, to one that will be driven increasingly by internal private consumption. This will be the biggest consumer story globally of our lifetime. Let's be in a place to take advantage." "The consumer share of the Chinese economy is 33%. We're at 71%. They have decades to go to get to the point where we are. We need to encourage them to boost their internal private consumption. Because they're an open economy, they import a lot of things from overseas. They import from Japan, Korea,Taiwan, Germany and from the United States. Shame on us if we don't advantage of being able to sell more things made in America that Chinese consumers do want, and will want, for years to come." "Jobs are a critical part of the economic equation for any country, whether it's the United States, China or anyone else. Yet [China] recognizes their limits to what they can produce for their home consumption right now. In a global economy, there's plenty of opportunity for global producers to participate, provided their markets are open to us." "No, it's not going to continue. China is buying Treasuries because they have a lot of excess or surplus saving. As they now focus on boosting internal consumption, they'll slowly absorb their surplus savings and have less left over to put into Treasuries." "We have to get our act together if we don't save, and it possibly means higher interest rates. These are all great issues for President Obama and Vice President Joe Biden to discuss with the soon-to-be president of China Xi Jinping. Let's turn this into an opportunity and not into a politically inspired, perceived threat." "This is a political year for the U.S. and a transition year for them. Politics are tough in the United States right now in a way we have never seen before. And even in a one-party state like China, there are political constituencies that need to be taken into consideration." "China is slowing right now, we know that...There's a lot of talk about a crash landing, a hard landing in China - property bubbles, inflation bubbles. I think those fears are overblown. I think China will slow in to the 8, 8.5% zone." "The wild card for China is a disorderly EU break-up. I still put in a low probability on that, even given the problems we're seeing in Greece right now." "Inflation popped up a little bit in January, but it's 4.5%. The government is really focused on reducing food price inflation. They've jacked up their reserved ratio requirements in the banking system. The Central Bank has tightened five times in the past year. They've got a pretty good handle on inflation right now. I don't think that's a risk." "I think for a long-term investor, China's been a very weak equity market over the past 18 months, especially in the last nine months. What's driving that is the fear that the landing would be hard. I think it will be soft. If I'm right, there will be opportunity there." Copyright © 2012 Bloomberg - All Rights Reserved Disclaimer: The above is a matter of opinion provided for general information purposes only and is not intended as investment advice. Information and analysis above are derived from sources and utilising methods believed to be reliable, but we cannot accept responsibility for any losses you may incur as a result of this analysis. Individuals should consult with their personal financial advisors.